Jim Rohn, an American entrepreneur has aptly said “If you don’t design your own life-plan chances are you’ll fall into someone else’s plan. And guess what they have planned for you? Not Much!”. The goal isn’t more money, the goal is living life on your own terms this is what is start-ups are all about. 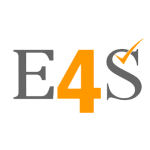 A young company that has just begin to develop and whose product is not currently being offered elsewhere in the market. On the contrary, when we talk about MNC’s i.e., Multinational Corporations have facilities and other assets in at least one country other than its home country. Sometimes referred to as TNC’s (Transnational Corporation). The largest 100 corporations hold 25% of the worldwide productive assets, which in turn controls 75% of international trade and 98% of all foreign direct investment. As per Peter Drucker, MNC’s put the economic decisions beyond the effective reach of the political processes, its decision-makers, and national governments. 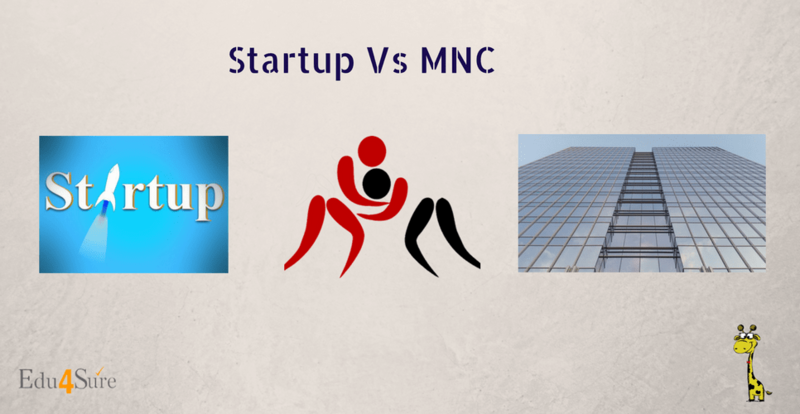 Many of us ponder over this dilemma what makes start-ups from MNC’s so different. Especially youth at the time of their final placements keep wondering. What it is like to work in a startup, and how different the experience would be to work with a multinational corporation. MNC’s are huge firms who are globally managed thus they face more of challenges comparatively with start-ups. Because in multinational corporations staffs are from different nationalities, with different cultural backgrounds they really suffer in abiding by MNC’S culture. Motivating and managing people across culture becomes a real challenge for large corporations whereas young entrepreneurs first observe what kind of culture a company needs and then communicate the vision to others. Like this, a strong culture is developed at start-ups which in turn differentiates them from average startup to those with staying power. Recruitment and hiring are done at start-ups looking at their passion to work rather than skills. As they believe, “Never hire for skills, hire for passion. Skills are cheap, passion is hard to come by”. Organizational structure in start-ups is the flat or horizontal type. This means with few or no levels of middle management between staff and executives. Thus bringing the top management in direct contact with the frontline employees whereas, MNC’s have a hierarchical organizational structure where employees are ranked at various levels within the organization, each level is one above the other. At each stage in the chain, one person has a number of workers directly under them. Communication becomes less effective because of so many departments. In a flat structure, even decision making is done easily with less of confusions. Start-ups constitute of limited no. of people so there is an ease in building good rapport amongst employees whereas in large companies or MNC’s because of large no. of people good bond is not shared. A startup company is a great, close-knit group on the contrary Multinational Corporations are widespread ones. In an MNC learning process is again slow because of huge no. of employees. In a large scale corporation work is distributed or specialized so they don’t enjoy great learning whereas in start-ups and small-scale industries less no. of people are only subjected to all the works. People who start their own business have different mental and professional makeup than those who have never gone off to create something of their own. Entrepreneurs are defined by seeing a problem and thinking of an innovative and original way of addressing it. Because of this innovative nature, entrepreneurs are some of the best people to learn from. Start-ups have fixed passion and flexible approach. Entrepreneurs and their employees are versatile. In order to provide work conveniently and more efficiently, they tend to be more flexible and pragmatic. When we look up to MNC’s they are comparatively not so much flexible majorly because of their strict organizational cultures to abide by which in turn keeps discipline but even bothers employees at times. There is a monetary responsibility when it comes to start-ups. We have a limited source of income to invest even if funds are raised whereas, in MNC’s they are economically strong. There is a huge number of shareholders investing in and earning profits. They even enjoy parties and cruises with so much of frills. They do conventional jobs done from the last decades. In start-ups budget is limited but our entire life will take on a meaning of creation, and you’ll be more energized, both physically and mentally, to take on new hobbies and start your own personal projects. In the startup world, it’s all about creating more and consuming less. Investments are not huge so resources are limited when we talk about start-ups. In MNC’s huge investments with sufficient resources are done for large-scale production. So this becomes a challenge even bigger for startup companies. Office politics is the last thing we want at our office, though politics to some extent is unavoidable. When we talk about start-ups we usually don’t administer much of chaos and politics. The reason behind fewer politics or no politics at start-ups is less number of employees. On the contrary when we look up to an MNC’s it always plays dramatics with ever increasing politics amongst employees. The reason behind is not only a large number of people but also an eagerness to enjoy power at a large scale industry. They are undoubtedly a large force with varied political issues. Unforeseen circumstances and their negative consequences are what risks are. Whether it is a start-up company or an MNC both of them have risk factors. Before getting into a new business we cannot predict the future of its success nor the market for its product. Risks prevail, even in MNCs. They are even not sure of the fact that their year-old product will run into the market with the same charm or not. There are a number of methodologies and way outs that can be metabolized to overcome these. Though companies operating and functioning across borders have large possibilities of risk, they continue working. It completely depends on an individual whether to kick start with a startup as an entrepreneur or to get cluttered with any of the big names like Infosys, Wipro, Apple, etc. In my opinion, I would say, “Don’t be afraid to be the biggest fish splashing around in the smallest pond because lots of markets are crowded. You’re more likely to thrive in the one that’s not”. Next articleHow To Retain Employees?